Immersed in the Costa Rica rainforest and fronted by calm gulf waters off the Pacific Ocean, Playa Nicuesa lives in harmony with nature. Accessible only by boat, our rainforest resort and eco lodge off the Osa Peninsula is a truly unique experience. Arrive in the enchanting Osa Peninsula and begin your adventure as you board our private boat and make your way to our eco-friendly lodge in the Golfo Dulce region. Dramatic mountain views along the Pacific Coast and acres of verdant welcome you as you approach, while jade-colored water, dolphins, majestic blue butterflies and leaves as big as elephant ears soothe your senses. Sustainably designed and constructed, our unique adventure resort harnesses natural energy from the sun and operates with minimal impact on the environment while ensuring guests enjoy an exceptional and luxurious hotel experience. Revel in the uniquely and beautifully designed main lodge overlooking the rainforest or relax in your private jungle cabin. Freshly caught fish, locally grown vegetables, and tropical fruit create an authentic Costa Rican culinary experience at our tree-house style restaurant overlooking the lush canopy of trees. When it's time to explore, our resident naturalist guides will lead you on rainforest hikes, kayak snorkeling and paddleboard excursions, dolphin tours and fishing trips. For calm and serenity, enjoy yoga classes and massage/wellness treatments in our tranquil hideaway. Or, explore on your own. Trek along trails that wind through our 165-acre preserve. 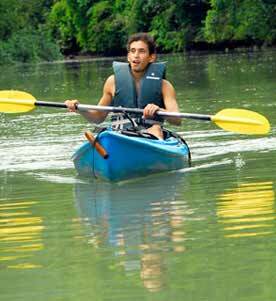 Enjoy unlimited use of hiking and fishing, snorkeling, paddle boarding and kayaking gear. 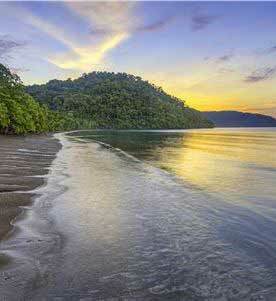 Come discover a Costa Rica retreat where adventure, conservation, and relaxation live in perfect balance. Reachable only by boat….a truly natural experience awaits you! Check out our event calendar to see what's happening in Playa Nicuesa. 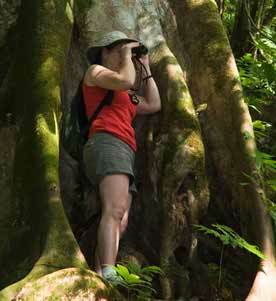 Enjoy the wildlife and lush rainforest of these pristine parks. 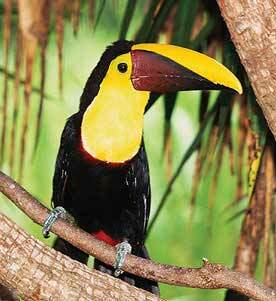 See scarlet macaws, frogs, butterflies, wild cats, and all four of Costa Rica's monkey species. 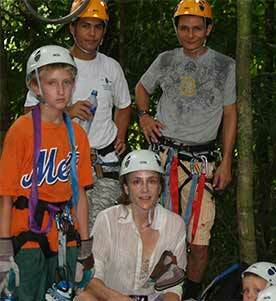 Book a waterfall hiking tour, day of horseback riding or snorkeling excursion with the family. Fun learning experiences abound for the whole family in the midst of two Natural Adventure Playgrounds: the Sea & the Rainforest. 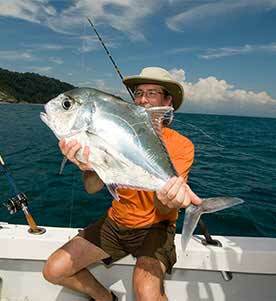 From Casual to World Class Sport fishing... Golfo Dulce is the perfect spot to enjoy a great catch. 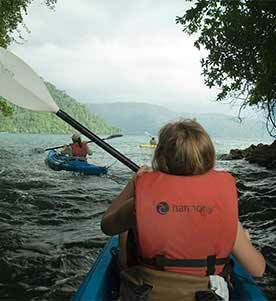 Jump in and discover all the adventures that await you in the freshly calm waters of the Golfo Dulce! 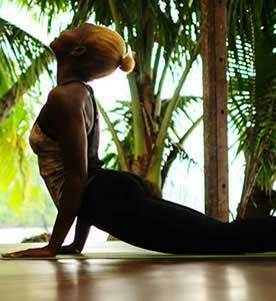 Be at one with Nature: yoga classes, therapeutic massages & peaceful meditation in front of the sea.